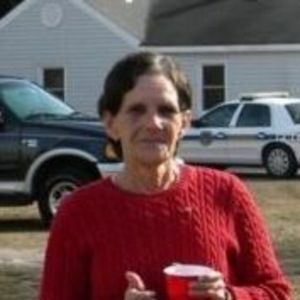 Linda Mae Rouse Rich, 66, of Bladenboro, passed away on Sunday, March 24, 2019. She was preceded in death by her father: Robert Eddie Rouse, mother: Mary Lee Clemmons Rouse; one sister: Joyce Ann Rouse and one sister-in-law: Judy Rouse. Linda leaves behind her husband: Linwood Rich of Bladenboro; one son: Lynn Rich (Tonia Gordon) of Bladenboro; daughter: Tammy Coleman and husband Andy of Bladenboro; seven grandchildren: Ashley Coleman, Cassandra Coleman (Anthony Tatum), Robin Coleman (Josh Simmons), Brandon Rich (Kassidy Edwards), Amber Rich, Brittany Rich and Nicholas Rich, all of Bladenboro; two brothers: Bobby Rouse and wife Dianne of Whiteville, Larry Rouse of Bladenboro; two sisters: Debra Rouse Lumley and husband Glenn of Raleigh, Revonda Rouse (Rodney Storms) of Bladenboro; two nieces: Kristyn Spencer, Lisa Rouse; three nephews: Scott Spencer, Kevin Rouse, Eddie Rouse and several great nieces and nephews. Linda was married to her teenage sweetheart for 49 years. They have two children and seven grandchildren with a great grandchild on the way. Linda was someone who would always put others before herself. It didn't matter how bad she felt everyone came first in her life. She was not someone who loved material things. She was always content with what she had and she never once complained. Linda was never one who held a grudge toward anyone. She always seen the good in people and welcomed everyone in her home. She was someone with a good heart who cared for everyone and most of all she loved her family dearly. Linda was the one who always held the family together. She wanted to make everything better. My mom is my strength, my hero, and I hope that I can be half the mom that she is. We love you mom, you go rest high on that mountain and dance with grandma and momma. You save us a spot because we will soon be there to dance with you. The family would also like to thank the staff (family) at West Bladen Assisted Living for taking such good care of her. Also, Liberty Hospice, we cannot say thank you enough for helping us through this time. You are an amazing group of people. A graveside service will be held on Wednesday, March 27, 2019 at 11:00 am at Hickory Grove Cemetery in Bladenboro. The family will receive friends following the service at the cemetery. Add your thoughts, prayers or a condolence to Linda 's guestbook.